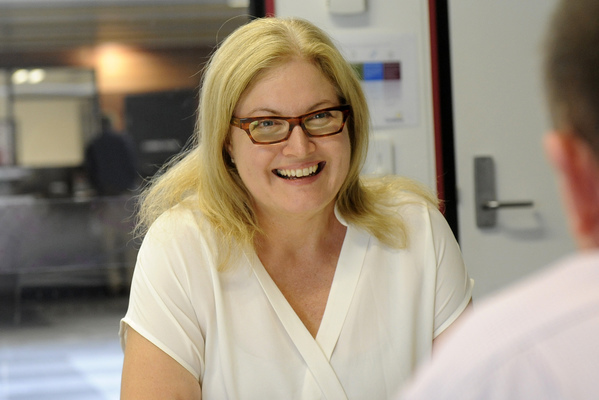 CAROL JEFFS took the reins as Cardinia Shire CEO from Garry McQuillan late last year and was almost immediately in the firing line, so to speak, as last month’s Bunyip State Park fires stretched shire resources and resolve. 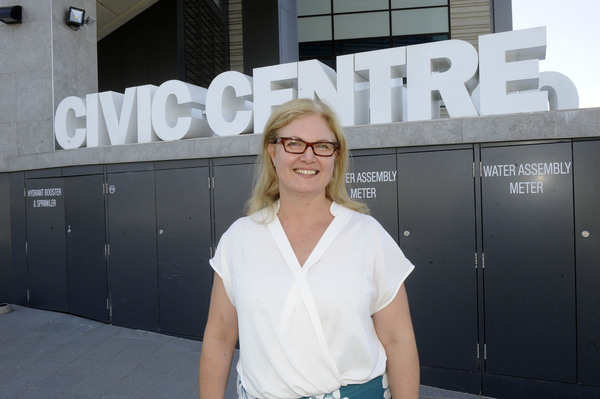 Gazette editor GARRY HOWE sat down with Ms Jeffs to discuss that experience and also get to know a bit more about the person in charge of one of Australia’s fastest growing municipalities. Garry Howe: Well Carol, there’s an old saying about jumping from the flying pan into the fire. I am not sure whether your previous job was like a frying pan, but you certainly had to jump into the fire here, with Bunyip State Park ablaze only months into your new job. Carol Jeffs: Cardinia has an extraordinarily high risk fire and has had serious floods as well, so the shire’s emergency management plan is well advanced. There are a lot of people within council who have that experience and were able to swing into action quickly. It was important that we got out and connected with the community as soon as possible; we were at every community meeting. It was important for me to be there and hear the people. We don’t have a lot of staff at Cardinia compared to some other councils and I didn’t want to be absent. It was a case of all hands on deck and that includes me. I really hope that me being out there and not only listening to people but being there amongst it helped people in some way. It was been pretty full-on, with a lot going on in the background – not everyone sees that. GH: And the work is continuing no doubt? CJ: I know anyone affected still has a long road ahead and people in are in different stages (of recovery). There are still people really feeling it. They are hurting and need help. When the media cycle moves on it feels like everyone has forgotten you. We have to be mindful of that. Other people move on with their ordinary lives and the people affected by fires are doing it really tough. Council realises people have a long way to go and it’s important we maintain the relief and recovery effort. You can’t do everything for everyone and can’t always do everything you want either. GH: You were right amongst it personally as well, living in Pakenham Upper. What it a bit scary up there for a while? CJ: Like most people we have a fire plan and we enacted that. 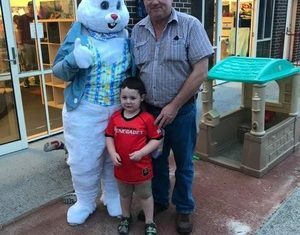 It was the dual thing of making sure the property and animals are taken care of and having a gauge on what’s happening in the broader shire. Our plan is to get out and we did that, keeping an eye on the Vic Emergency app. 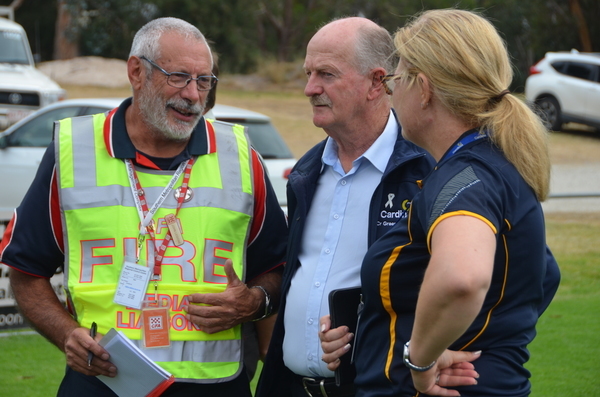 I was also involved with the Black Saturday fires in Gippsland, both on a personal and professional level when working with Latrobe City Council. It brings back memories but helps you to know what to expect and what to look out for. Our property was two kilometres from fire front in the fire on Black Saturday. We did a huge amount of work with the community and coordinating things behind the scene as we cleaned up and rebuilt. GH: In the week of the fires you were one of three guest speakers at Outlook’s International Women’s Day lunch. You got quite emotional when speaking about the events of that week. CJ: That day I was absolutely exhausted and you are talking about people and humans, very personal stuff. Caring for each other is important and we had spent the week with a whole range of emergency personnel. It got to the end, I think that lunch was a Friday, and I was thinking I’m not sure we can do another one of these. I think we were running on adrenaline and fatigue and a part of my emotional response that day was fatigue. GH: How do you look back at the experience of that week? CJ: It was an interesting time. One thing about the fires and that situation is you find out that our community is absolutely incredible. They were gracious and helping themselves and helping each other. The volunteerism is incredible, which is pretty special because we can’t do it all ourselves. That was a very intense time, but you see the best of people in these situations. We still have a long way to go and the people who are in it know that and are feeling it. Those who are not directly involved or impacted need to be mindful of that. GH: So that was your baptism of fire, so to speak, let’s now find out a bit more about you. What’s the Carol Jeffs story? CJ: I was born in the Gippsland town of Yarram, a part of a large family. I have three older brothers and one younger sister. I had all the benefits of growing up in a small country town – I played sport, went to pony club and was a surf lifesaver at Woodside Beach. That upbringing really gave me a deep appreciation of communities, volunteering and being involved. Dad was a CFA volunteer and Mum was secretary of the netball club, so we were all involved. It was a good grounding, learning the real value of being closely connected to the community. GH: Any disadvantages to that small town upbringing? CJ: The only disadvantage to living in a small town is the opportunities, of lack of them. There are very few jobs for younger people. I had to move away to pursue a professional career. Fortunately it was not too far away and I went to the Latrobe Valley to study at Monash Gippsland. GH: How did that go? CJ: I graduated near the top of the class with dreams of being an investment banker, but it was right at the time of Paul Keating’s ‘recession we had to have’ and all the graduate positions dried up. It was a case of the career that could be suddenly wasn’t. I went back to my old school as a burser for six months and then went back to Monash Gippsland as a junior tutor. I ended up lecturing in economics and did my Masters. I had my two beautiful daughters during this time – Morgan and Emma – and I also have a step-daughter Danielle. The next step from a career point of view was doing my PHD. I had a choice of the role becoming research based or stay where I was. After years of studying and working through my Masters, I decided it was time to reconnect with the community. Academia can be isolating at times. I took a role as executive officer with the Gippsland National Resources Forum. Gippsland was not attracting enough funding – state and federal – in this area and the environment was fragmented. I worked hard at bringing together 40 stakeholders and managed to get them together over three years. We achieved some good things there. The National Resources Report Card came out of it and the Gippsland Lakes Taskforce. I learned a lot about functionality and working with stakeholders – of having a big vision and the power of bringing people together to achieve that. The region stretched as far as Phillip Island and Wonthaggi, deep into East Gippsland. I was able to get a taste of leadership through that process. I took my country roots and added degree in business and economics to the role. GH: Where to from there? CJ: A leadership opportunity came up at the City of Latrobe. 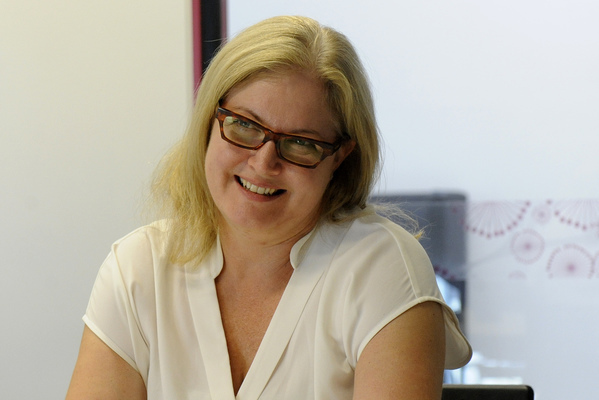 I worked as a planning manager for three years, then back to a role more suited to my qualifications as General Manager of Corporate Services. GH: I see on your LinkedIn page that you spent some time at the John F Kennedy School of Government at Harvard University while at Latrobe. Tell us about that. CJ: It was one of the highlights of my career; it was inspiring and enlightening. The three week course in 2012 attracted people from all over the world, although there were a lot of Americans of course, and it was satisfying to come away from that knowing that leadership in Australia is in good shape. We are on a good playing field. I learned what a difference leadership can make to communities. There were elected members and officers from all different kinds of set-ups. I roomed with the deputy chief of the NYPD and a County auditor from California. The Harvard method is case studies and we worked from 7am into the evening and had workshops on the weekends. It was no holiday, but I had a week in New York after it. It was a unique opportunity and experience and I refer back to what I learned there quite a lot. GH: What was it like working in the Latrobe Valley? CJ: It was an exciting time to be in the Latrobe Valley as it was thinking about the transition into a low carbon economy. Being acting CEO during that time was very interesting. I left the Latrobe Valley just before the Morwell (mine) fires. That was sad because I was not there to help, but in a sense I was also glad I was not there to have to deal with it. GH: You went from there to Port Phillip Council, based in St Kilda, which I imagine are poles apart. CJ: Port Phillip is a different community all together. The issues and challenges are different. What I loved about working in Port Phillip was the social conscience there. Anyone is welcome and no-one is left behind. Everyone can reach their potential there. There’s a real contrast – some of the wealthiest people in Australia live there, yet there are also high levels of homelessness. It’s a very diverse area. GH: How does Cardinia compare? 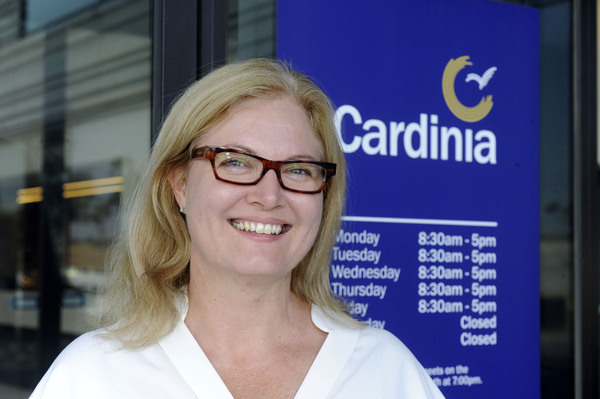 CJ: Cardinia is the perfect sweet spot in the middle of those two. It plays to my country upbringing and appreciation of regional areas. The area has a wonderful inclusive social conscience, which is great to see in a growth area council. I really feel at home here culturally and want to make a contribution and a difference. There were elements of Port Phillip where I couldn’t align myself to inner city thinking. GH: You lived here, in Pakenham Upper, while working at Port Phillip, so you must have lived the commuter nightmare that many endure around these parts. CJ: When we left the Latorbe Valley we made two promises – that the girls could keep their horses and that they could stay in the same school in Warragul. This was as far as the school bus went to the west, so we settled in Pakenham Upper. The girls went one way to school and I went the other way to work. It was a five year commute and I went mostly on the train, where you get into a routine and get some work done on the way in and the way home – and endure the bus replacements along the way. GH: How did you find the experience? CJ: It wasn’t until I stopped doing it that I realised the impact it had on your well-being and family life. It’s harder to exercise, harder to prepare healthy meals and you miss time with your family. It’s harder to be a part of the community as well. GH: So how do we fix it? CJ: It is my intense passion to bring jobs of the future here, so people living here can expect that the job they want is close by. They then have the option of commuting to the city or working locally. I want to make this Victoria’s premier place to live, work and recreate. We have a diversity of landscape and places to live in Cardinia. There is real livability here – the only piece missing is the jobs. GH: How do we achieve that? CJ: A lot of lobbying and a lot of long range planning exercises. It is not in control of council to direct this, but it’s about facilitation. We have a good reputation for facilitating good outcomes. There are 2500 hectares of employment land flagged for this area, which has the potential to make it Australia’s innovation precinct. GH: How important is an international airport out this way to those plans? CJ: A third airport out here is crucial to not only South East Melbourne, but Gippsland as well. It will benefit 2.5 million people. It’s about imagining what the future of the region south east of the CBD could be and an airport is a significant part of that story. We understand there is a process to go through and we will work with the relevant authorities. We all have our own stories about air travel. I had a trip to Canberra not that long ago and had to leave after lunch on a Sunday afternoon to get to a meeting in Canberra on Monday morning. We sat on the tarmac longer than we were in the air. GH: Living in Pakenham Upper, were you excited by the opportunity presented at Cardinia by the retirement of CEO Garry McQuillan? CJ: I jumped at the opportunity when Garry resigned. It was the perfect fit for me. I enjoy living in the community, I see things every day that we do. There’s an in-built accountability about that too. I see it and I hear it. I don’t clock off and worry about it on Monday. A lot of CEO’s don’t like living in the municipality, but I see it as a positive. I can attend the community events not too far away and can enjoy my weekend. Although I have worked long enough to know not to take work home on the weekend. GH: What do you enjoy away from work? CJ: I am a big fan of yoga and like to fit in a couple of sessions a week. My husband Anthony and I have gone on a gastronomic tour of the region – coffees, lunch and dinners. I must say we haven’t been disappointed. There are a great range of eateries around here. It’s funny, I now enjoy going to the city too. I didn’t do that much when I was working in there, but now we enjoy the trips in there on weekends. GH: How was your introduction to the job? I understand you spent time on the ground in various parts of the operation to get a feel for the place. CJ: Yes, across the first 100 days I embarked on a learning experience, a part of what I call Walking In Your Shoes. I issued an open invitation to all teams to go out with them and see what they do, to talk to them and learn how things are from their perspective. They can talk to me directly about how we can improve. I did a five hour shift on the street sweeper, starting at 3am, and I attended a First Parents Group with the maternal and child health team and learned what good parenting looks like. That made me realise we had made a few mistakes (smiling). I went out with the emergency services team and went with the drainage team in the big truck. It’s an opportunity to get to know the people and who they are and have real conversations with them. GH: Cardinia is a real area of growth. How do you see that challenge? CJ: We are early enough in our growth journey to learn from what others have done. We have seven families a day joining us and we still have time to grow properly. We can still shape how we’re going. GH: What are your biggest challenges in the job? CJ: One of our greatest challenges is the amount of unsealed roads in the municipality. Lots of parts of the shire are very rural, where we strike a balance between the growth area and the diversity of the Hills and Port wards. It’s a big problem. We have 850 kilometres of unsealed roads, the most of any interface council. I can say that council is taking people’s concerns seriously and working out a way of dealing with this. That’s a big challenge for us. It is an asset having a great diversity of places, but there are assets we have to maintain. GH: What are the disadvantages in Cardinia? CJ: Not many. I am really proud to live and work here. We have a very welcoming and very innovative community.